Nothing substantive came from the single day visit, but an interesting historical footnote was brought up. Egyptian President Abdel-Fattah el-Sisi is spending a day in Astana on his way to Japan this weekend (he’ll also be making a visit to South Korea). The layover marks Sisi’s first visit to a Central Asian state since he assumed the presidency in 2014, after toppling Mohamed Morsi, the previous president. The visit doesn’t look to have achieved anything major, though discussions on increasing bilateral trade could be profitable eventually, particularly when it comes to grain–which Egypt imports in vast quantities and Kazakhstan exports in large amounts. Ahead of the visit, Kazakhstan lifted its moratorium on flights to Egypt. The ban had been put in place after a Russian passenger plane crashed in late October 2015 shortly after taking off from the Egyptian resort town of Sharm el-Sheikh. In an interview with the Astana Times, Berik Aryn, Kazakhstan’s Ambassador to Egypt, said both Egypt and Kazakhstan play leading roles in their respective regions. He said bilateral trade amounted to $50 billion in 2015, a number both Cairo and Astata would like to see rise. Aryn cited the pharmaceutical, textile, agriculture, tourism, and space industries as prime targets for increased cooperation. Perhaps mistakenly, however, he named the Americana Group as an Egyptian company present in the Kazakh market. The Americana Group does indeed operate dozens of KFCs and Costa Coffee shops in Kazakhstan, but is actually a Kuwaiti company. And as always, there were historical undertones to the visit. Aside from it being Sisi’s first official Kazakhstan trip, it was hailed by the Egyptian State Information Service as coinciding with the establishment of diplomatic relations between the two countries in March 1992. Sultan Baybars, the fourth Mamluk Sultan, was a pivotal figure in Egyptian history and was born, incidentally, somewhere on the Eurasian steppe into a clan of Kipchak Turks. The area came under the dominion of the great Golden Horde–one of the inheritors of the Mongol conquests in the decades after the death of Genghis Khan–which sold Turkish-speaking slave to empires in the Middle East that prized them. This is how Baybars came to Egypt. 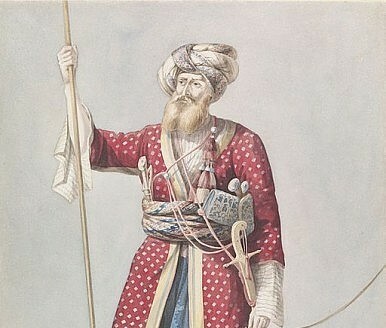 One of the last Ayyubid rulers, Al-Malik as-Salih Najm al-Din Ayyub, purchased large numbers of Kipchak slaves for his army–they were known as the Mamluks. Baybars, trained and emancipated, proved himself militarily in pushing back Louis IX of France’s Seventh Crusade at the Battle of Al Mansurah. Eventually, the Mamluks seized power from the Ayyubids and in time, Baybars became sultan after the third sultan was assassinated, possibly by Baybars himself. Of course, modern relations between Egypt and Kazakhstan are much more than opportunities for airing seemingly obscure historical references, but they’re nonetheless interesting. Of more immediate concern are plans for Egypt to join in a free trade agreement with the Eurasian Economic Union, of which Kazakhstan is a founding member. Not much has been said about it–though in his interview Aryn mentioned supporting the process. In December TASS reported that negotiations could begin in 2016.